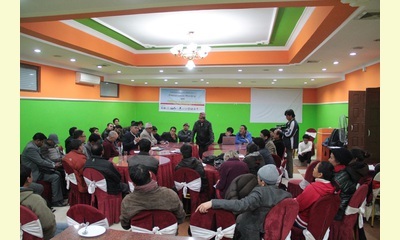 A consultative meeting was organized by a coalition of more than twenty civil societies in Kathmandu. 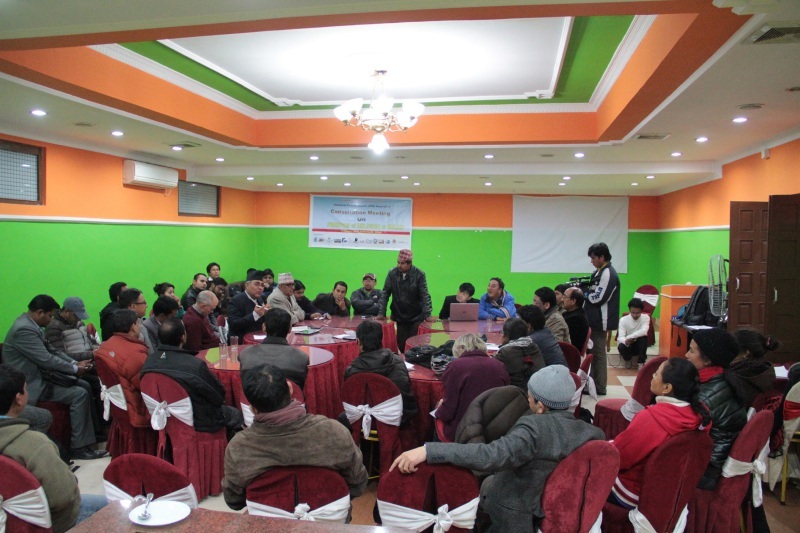 Around forty leaders from Hindu, Christian and Bahai, educators expressed their concerns about policy and legal provisions regarding religious freedom in Nepal. The rights to freedom of practice of the religious minority are being challenged due to the wider cultural practices influenced by the majority religion. "Art and cultural practices are constraining religious rights" said Mr. Lok Mani Dhakal; a member of Constitutional Assembly. “The republic system itself is not in favour of minority because of the two-thirds voting provisions”- he added. Mr. Raju Pradhan, a Nepali Christian professional presented a paper about the religious issues and constitutional/legal provisions for freedom of belief and practice. Mr. Pradhan focused on the 23rd clause of the Interim Constitution of Nepal-2007 which he considers to be a double standard as it guarantees the religious freedom at the same time as it limits freedom of choice as follows: Every person shall have the freedom to profess and practice his own religion as handed down to him from ancient times having due regard to traditional practices. When a child grows up to a certain level of maturity, he/she should have freedom of choice of choosing or not choosing a belief regardless of what has been handed down from ancient times. Participant also discussed some difficult cases when some government agencies conduct mass practices of Hindu customs as if mandatory for all regardless of their individual faith. According to Mr. Narendra Pandry, a member of the interreligious council of Nepal from the Bahai faith, burial grounds, legality of religious property and government recognition of vital registrations in religious institution are still major concerns for religious rights and identities. Non-Hindus are not allowed into some of the famous Hindu shrines where millions of funds are collected from thousands of non-Hindu tourists every month, said Ms. Debaki Acharya who is a Hindu by faith and leader of a civil society organization. “How can be a public religious place be banned for people from a certain faith?” she questioned. The demand of rights for a religious minority should be accompanied by fulfillment of civil duties. Some of the Christian leaders during the discussion emphasized that legal provision of punishment for killing a cow is right and just since the cow is a National Animal in Nepal. One should not make it issues of religious freedom and therefore protect its national identity. “But it is not enough to have only legal provisions; the attitudes of people have to be changed and for this a constructive role of media is imperative”- the parliamentarian added. Nevertheless, religious rights are not only for a minority religion, they should be equally enjoyed by the religious majority too. Nepal looks forward to a long-awaited new constitution as deadline of constitution assembly is 23rd January, as mandated by second election of constitution assembly in 2013. The first election of constitution assembly was held in 2008 but was dissolved in 2012 without progress. Also, Nepal is going through the second cycle of Universal Periodic Review by the Human Rights Council of United Nations in November 2015. This report was posted on January 13, 2015.